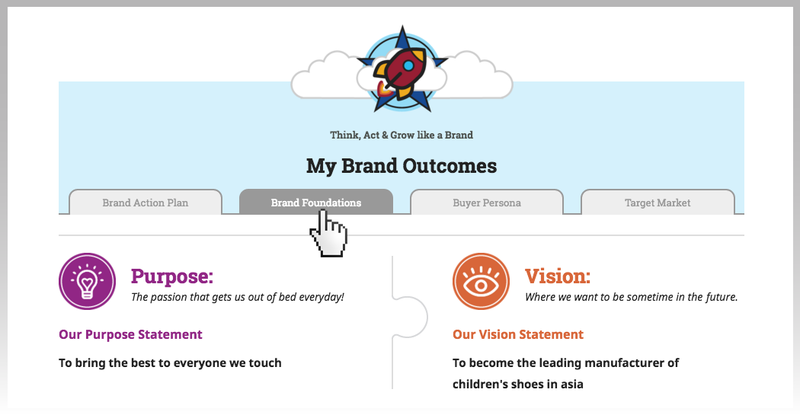 The framework with all the Brand Strategy components you need to build to succeed. Trying to work out your answers to the hardest questions on your brand strategy can be frustrating, especially if you’ve ever spent time sifting through online content that’s of limited value because it doesn’t give you the whole picture. The Plan2Brand self discovery eTool aims to demystify the strategic branding process to help visionary entrepreneurs and SMEs like yourself, craft a clear and cohesive Brand Strategy Roadmap. 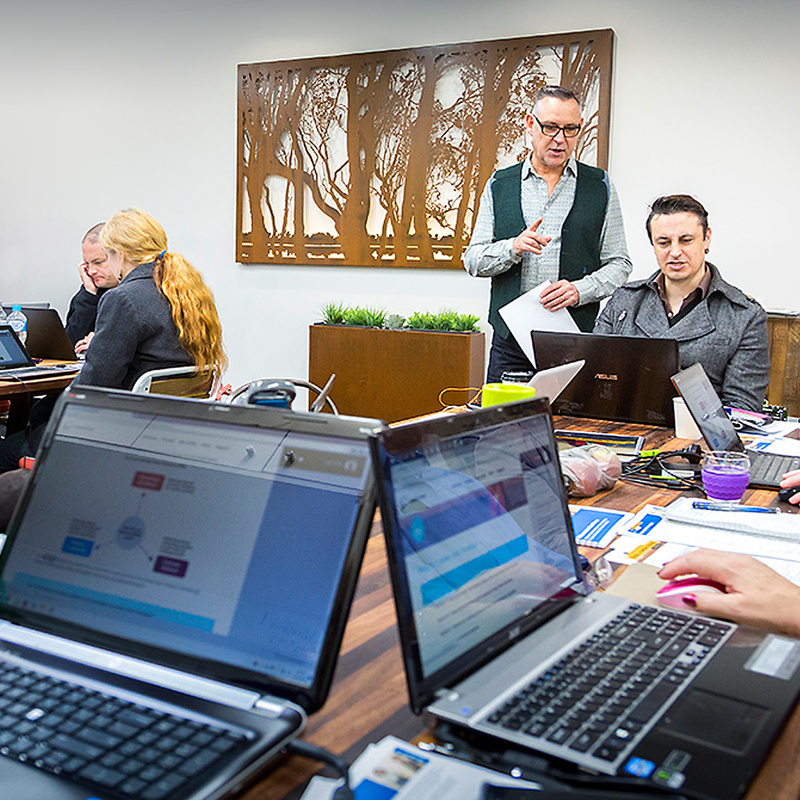 Testing and refining content in live group and individual workshops with over 700+ entrepreneurs and SME’s. Small business workshop facilitated by Peter Engelhardt, brand strategy specialist and Plan2Brand founder. Everyone learns differently – some like to read while others like to watch or listen. Plan2Brand caters for both by including written and video introductions and exercise explanations throughout. There are also PDFs of course content you can read and exercises to do offline, to break up your screen time. Hundreds of real brand examples, both big and small, and how they use their strategy to visually communicate a certain position in their markets, even when very competitive. Quotes from brand, marketing and business leaders to inspire, digest and motivate. Some learning is outside the eTool as you gather information on your market, buyers and competition to the questions that give you a more accurate picture. Plan2Brand provides you with methodologies, and a list of ideas and tips on how to get the information you need. Hundreds of real brand examples provided. Download PDFs for reading or doing some of the exercises offline. Aligning your answers so they work together to make sense is vital. Therefore, your final answers for each brand component are automatically pushed forward and displayed in future modules. Brainstorming ideas are also an important part of the strategic process, and you are given plenty of questions to help you. As you work through the exercises and start to write your final statements, your brainstorming ideas to key questions are conveniently placed just above to guide you. With real time autosave, your answers are always there to review or revise. 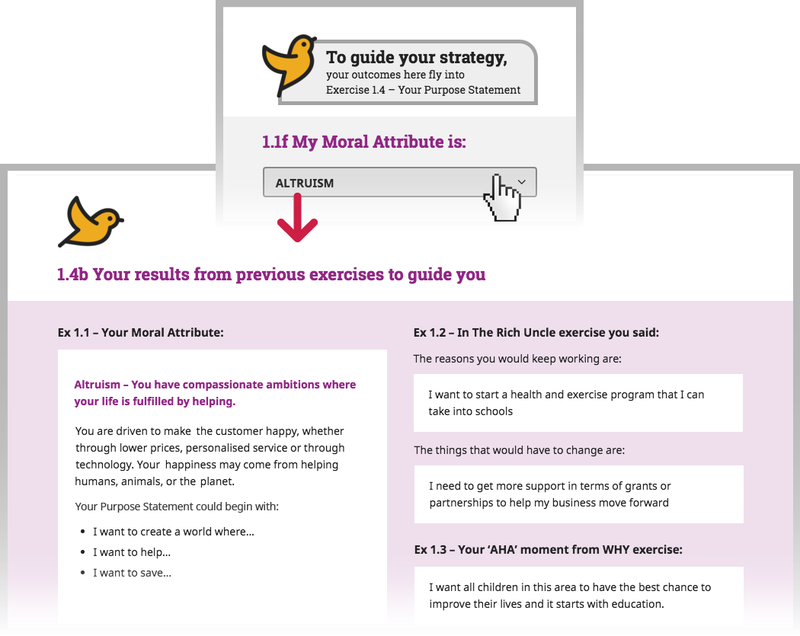 All your final outcomes are conveniently saved in one location to view, print or save as PDFs. With one click you can go back to any final exercises to change your statements at any time. The eTool can be used on all platforms – desktop, laptop and mobile, so you can dip into it wherever and whenever you like. Chillies indicator to let you know how easy or difficult a task might be and approximate timings for each exercise. The step-by-step build of a fictitious brand, starting from the first modules introduction onwards, that shows you how it comes together. A glossary of branding terminology, to familiarise yourself with. We’ll let you know when you can tune in to weekly one hour live chats with branding expert Peter Engelhardt who’ll be there to answer your questions (free via video conferencing program Zoom). Recordings are available to access anytime, if you can’t make it. Plan2Brand was developed by strategic brand and marketing company Creative Brew. Blogging for the last 7 years you have access to over 175 articles on branding marketing and design. After completing all modules, you have the opportunity to get a one hour Skype consultation* with brand strategy expert Peter Engelhardt to discuss your Brand Strategy Roadmap. Although in it’s infancy, this is more than just another podcast series. You’ll not only listen to recognised brand and marketing experts, but you can help KIVA – an international not-for-profit organisation that connects people through lending to alleviate poverty. Collaborate, discuss and debate what you’ve heard through Facebook Live Events hosted by Peter Engelhardt and Annemarie Cross, CEO & Founder of The Ambitious Entrepreneur Podcast Network. We hope to have our experts there too. We’ll transcribe everything and gather all the thought-leading and inspiring comments into a book, where all profits going to KIVA. Anyone who commits to the process and does the work, will achieve outcomes that most SME’s or entrepreneurs don’t achieve in five or ten years of business.